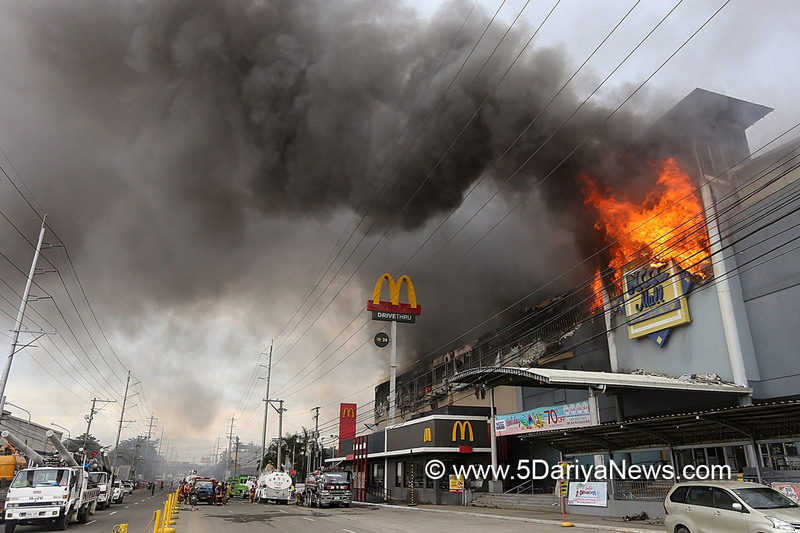 At least 37 people may have died in the massive fire that ravaged a shopping mall here on Saturday, authorities said on Sunday as firefighters continued battling pockets of flames 16 hours after the blaze broke.Distraught relatives wailed in grief as Philippine President Rodrigo Duterte announced the firefighters' grim assessment on the victims' fate around 3 a.m., Xinhua reported. "According to the authorities still in the area, in that situation it's difficult to believe anyone can survive. Chance of survival is zero," Archbishop Romulo Valles, president of the Catholic Bishops'Conference of the Philippines (CBCP) quoted the president as saying.Valles told reporters outside a restaurant where the president was meeting with relatives of the missing workers.